This custom specialty transformer was designed for use in a system for ozone generation for water sanitizing. 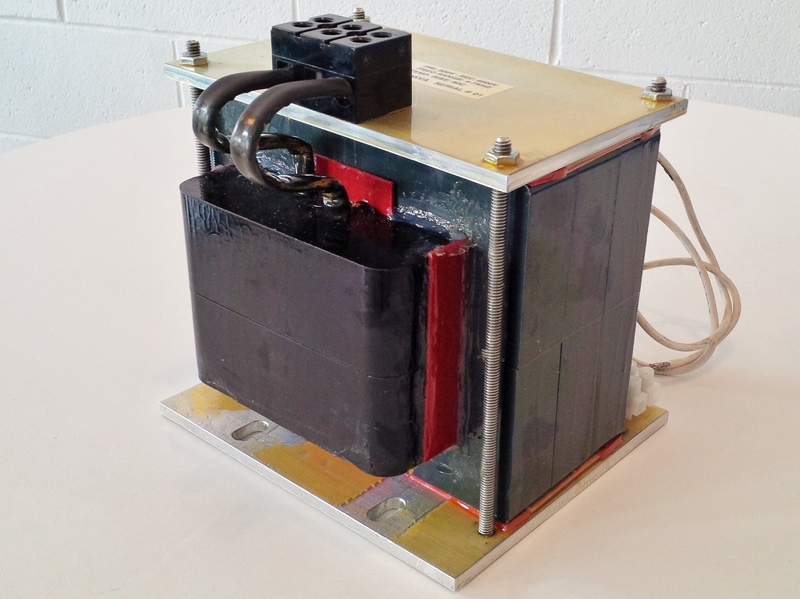 This transformer utilizes epoxy-encapsulated windings to provide additional protection against damage caused by partial discharge (corona). Encapsulation is performed under vacuum with the goal of replacing air with epoxy to provide a superior medium of insulation. Rated 600V input, 6kV output @ 4-7kHz. Insulation is Class F (180C). Copper foil and Litz wire windings on a gapped ferrite core. Model 211020.